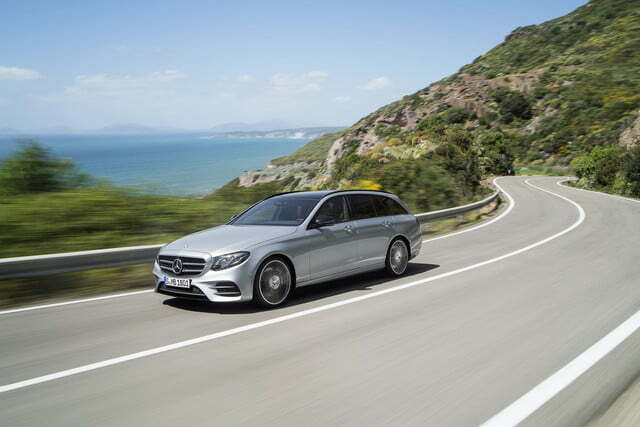 Mercedes-Benz has introduced the station wagon variant of the brand new 2017 E-Class. We knew we’d see it before the end of the year, but the big news is that the long-roof E will once again be sold on our shores. The E wagon is all but identical to its sedan counterpart from the tip of the front bumper to the B-pillar. Beyond that, it gets a gently sloping roofline that’s accented by a set of roof rails, a discreet spoiler that adds a sporty touch to the design, and horizontal tail lamps connected by a strip of chrome trim. 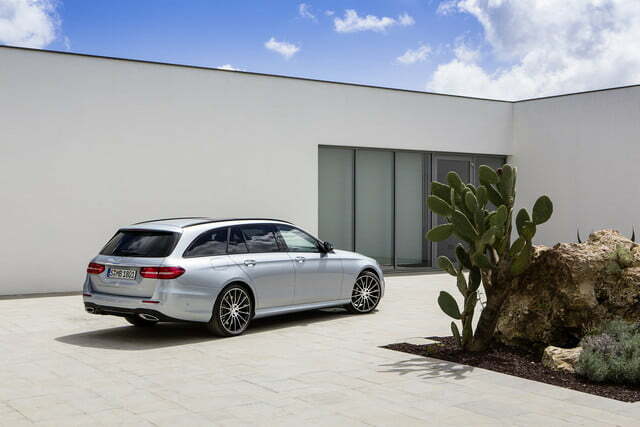 The fluid lines give the E wagon a more elegant look than the outgoing model without sacrificing comfort or versatility. There’s 43.3 inches of space between the rear wheel arches, which makes carrying bulky items a breeze. 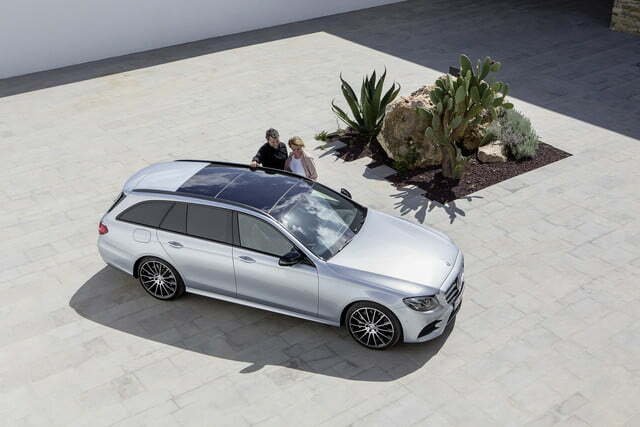 The second row of seats is split 40/20/40, and Mercedes’ newest wagon comes standard with a rear-facing third row that stows away under the trunk floor when it’s not in use. Other standard features include a self-leveling air suspension on the rear axle, a cargo cover that automatically retracts when the tailgate is opened, and a tailgate that opens or closes at the push of a button. A fully digital and configurable instrument cluster is offered at an extra cost. Like the sedan, the family-friendly E is a technological tour de force. It can brake and accelerate autonomously at speeds of up to 130 mph, both on the highway and on back roads. 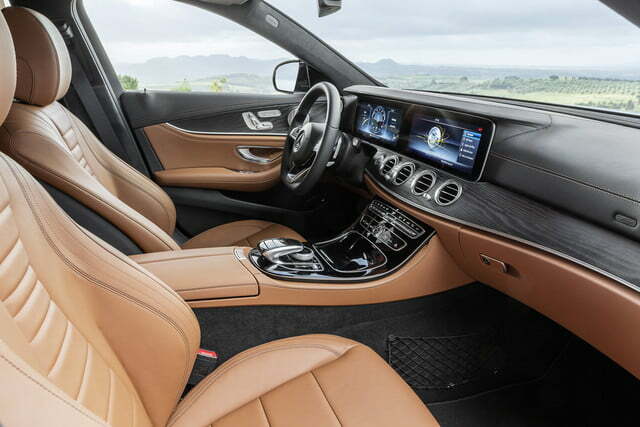 The driver simply has to steer the car, though Mercedes’ steering assist technology helps keep the wagon in its lane. It can also be ordered with Pre-Safe Sound, an industry-exclusive system that emits a short interference signal through the sound system if it detects that a collision is imminent. The carmaker explains that the signal protects the occupants’ ears from the loud noise associated with accidents that are caused by triggering a natural reflex called the stapedius reflex. 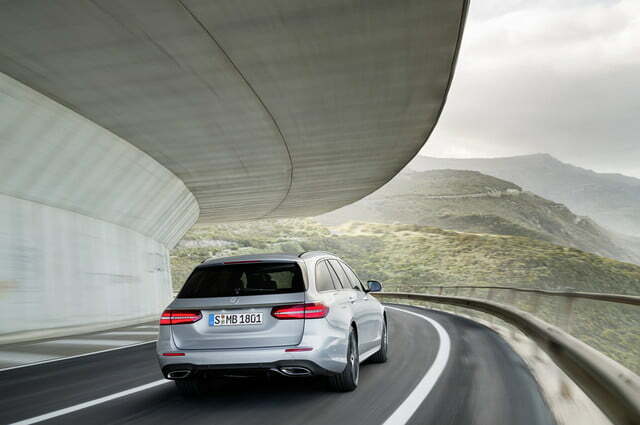 At launch, the E-Class wagon will exclusively be offered with a 3.0-liter V6 engine that uses a pair of turbochargers to generate 329 horsepower and 354 pound-feet of torque. 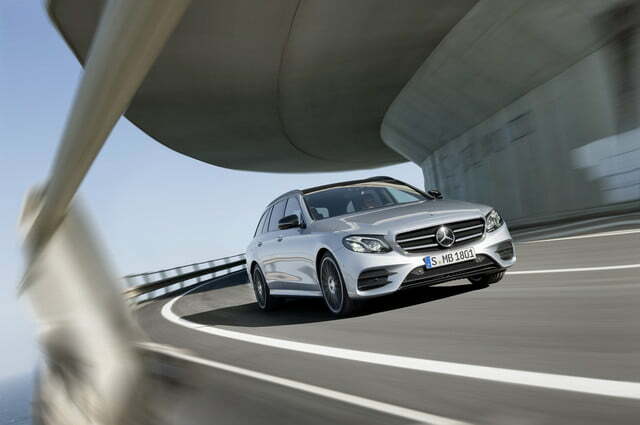 A nine-speed automatic transmission sends power to all four wheels via Mercedes’ 4Matic all-wheel drive system. Other engines — such as the turbo four that powers the E300 sedan — will likely be added to the lineup a little later into the production run. Mercedes will build a station wagon version of the recently introduced E43 for the European market, but we won’t see it on our shores. 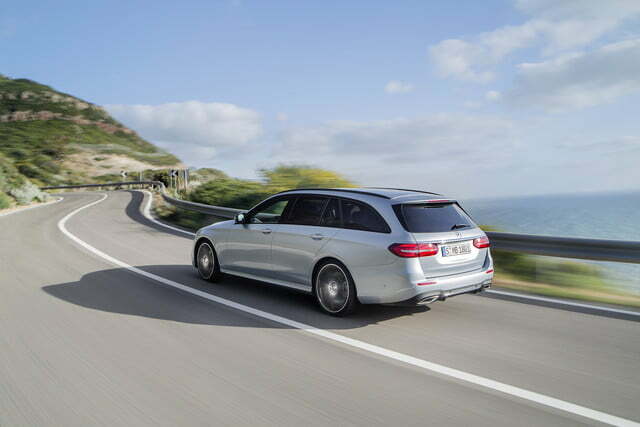 However, the Stuttgart-based firm admits that “another AMG E-Wagon model is not to be ruled out,” which is a strong hint that the next E63 wagon will join Mercedes’ U.S. lineup. The 2017 Mercedes-Benz E400 will go on sale in early 2017, a few months after the sedan. Pricing information will be published in the weeks leading up to its on-sale date.